MH20 & MzR, Chable & Bonnici, Depeche Mode, Max Graham, Danny Stubbs and more. Our monthly show continues though this month with our guest DJ spot being filled by Greg Downey. The Belfast lad has been a trance music staple for many years with tracks signed off to Vandit, Discover and more recently with his new deeper darker alias R.I.C.O. signed off to Garuda and his own Global Code label. Along with original signings Greg found fame with his remixes of Bedrock’s ‘Heaven Scent’, Mansun’s ‘Wide Open Space’ and Everything But the Girl ‘Missing’ cementing his place in the mind of the trance nation! 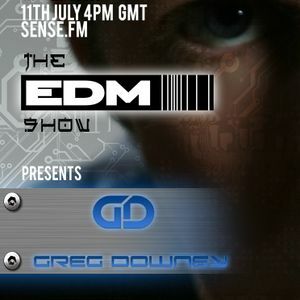 Its great to have Greg come on the show along with his top 3 tracks. Next our Nu-Breed section comes from a new artist who has already gained support from people such as Solarstone & Giuseppe Ottaviani. Danny Stubbs has certainly impressed with tracks already appearing on Solaris and Touchstone records. Expect big things to come in the following months. Check out his mini mix and a little interview. We also check out John O’Callaghan’s label Subculture.